Although news desk wants to say men are rapey here. Mars has less gravity, so wome can do the heavy lifting, and women are lighter than men so the help in fuel consumption, food requirements, water reserves. Like firefighting for men, this is actually something that women will be more beneficial doing, and should therefor do it. Mars TV show is apparently an actual documentary at least that's what it's starting to look like these days. 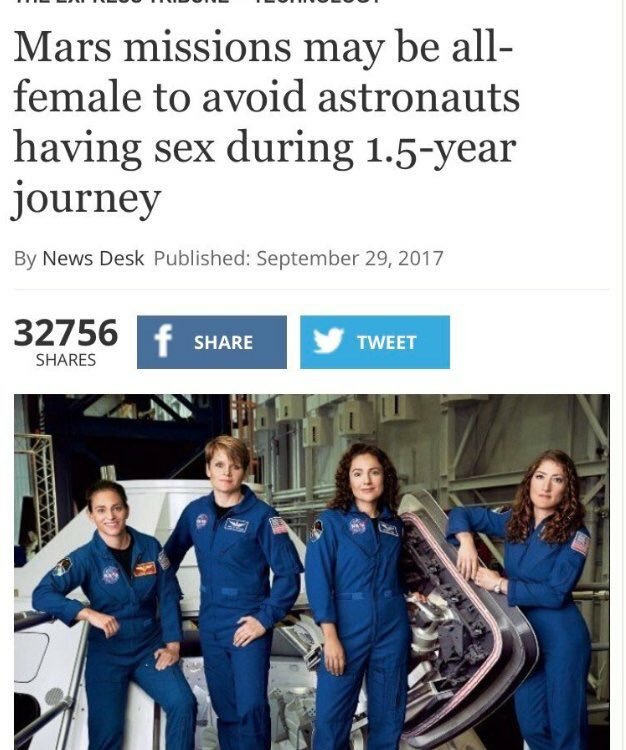 So they're going to need to make a rule that it's only heterosexual female astronauts then? Generally men and women think differently as well. How do you think an all women crew would be compared to an all men crew in regards to the social aspect? They're going to be confined to close quarters for pretty much the entire mission and if I understand correctly the first mission is a one way trip as well. Men are going to be actively agressive and women will be passively agressive. I doubt the first trip is one way. I really don't think that reality show trip to mars will happen while we are alive, nasa will send its best, and they will want them back. They will know what their goals are before they leave, and they will have a direct chain of command in the field when they aren't taking orders from ground control. They aren't going there to start our new civilization, they will be going there to see if it is a usable planet for us or if we have to jump to a moon in the jovian system. I think the insanity will come during the flight there, and back. Well I haven't been paying much attention to this topic lately but a year or two ago it sounded like the consensus was that the first trip to Mars was likely a one way mission in a sense that they would not be coming back with what got them there. If traveling at light speed means that you go through time faster, how are we sure our distances are correct? If we are seeing quasars from 9 billion light years away, how are we sure they aren't further away than that because their light is traveling at light speed? It’s all about the observer. The faster you travel the slower time seems to you. Light itself has no observer perspective. 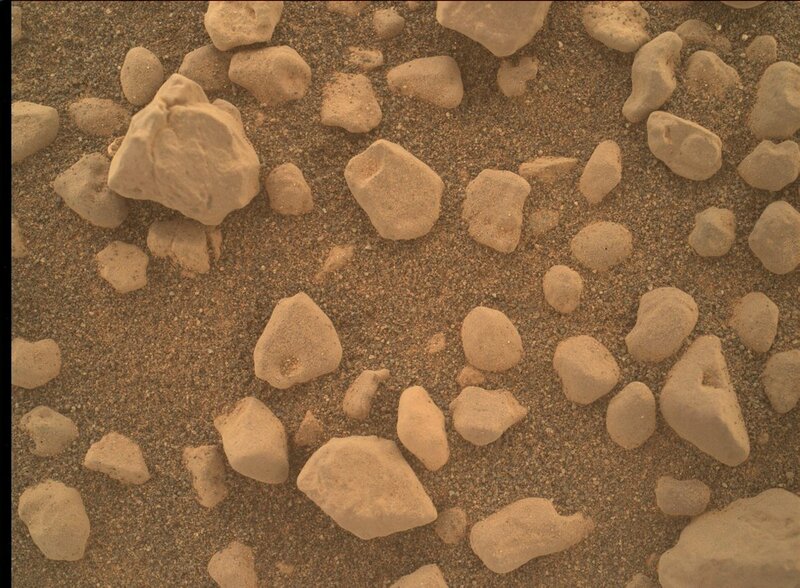 Mars is pretty cool. Who knows, maybe we'll find a live bacteria under all those rocks lol.